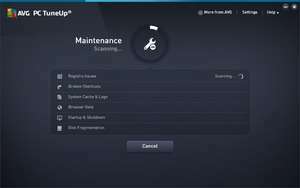 AVG PC Tuneup is an extensive tool which allows its users to completely overhaul their system in terms of performance. It includes many different tools which promise to improve speed. One of the focuses of this program is hard drive space. It constantly keeps an eye on disk space usage and removes junk data when necessary. AVG PC Tuneup 16.80.3.38236 is a shareware program and can be used as a demo to try the software until the free trial period has ended. A full version of the program is available after the trial period ends. For security reasons, you should also check out the AVG PC Tuneup download at LO4D.com which includes virus and malware tests. Additional screenshots of this application download may be available, too. 4 out of 5 based on 68 ratings. AVG PC Tuneup has a presence on social networks.